Play as Sonic the Hedgehog as you dash, jump and spin your way across stunning 3D environments. Swipe your way over and under challenging obstacles in this fast and frenzied endless running game. Choose to play as one of Sonic’s friends, including Tails, Shadow and Knuckles. Get more rewards the more you play! Level up your score multiplier by completing unique missions, or win amazing prizes including Red Star Rings & additional characters by completing Daily Challenges and playing the Daily Spin. Utilise Sonic’s powers to dodge hazards, jump over barriers and speed around loop de loops. Plus defeat enemies using Sonic’s devastating homing attack! 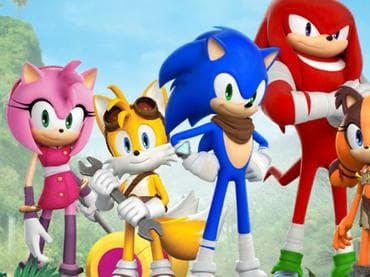 Если у Вас есть вопросы, связанные с игрой Sonic Dash пожалуйста используйте эту форму для связи с нами.